While many companies use the Internet to sell their own products, others use websites to create marketplaces where individuals can buy and sell. One might think of Amazon as a model of the first option since it sells a wide range of products directly to consumers. eBay is an example of the second model because the company provides a platform that lets buyers browse items posted by individual sellers. GearTrade isn’t exactly like eBay, but it fits into the same model. If you are interested in buying new and used sports gear at discounted prices, you might want to visit geartrade.com to see if someone is selling items that appeal to you. GearTrade started as a website called skitrade.com in 1998. 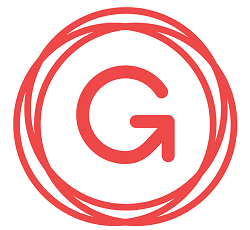 Within a year, the company had changed its name to GearTrade and established itself in Provo, Utah. The company established a marketplace where outdoor enthusiasts could buy and sell gear. As the company continued to evolve, it attracted more enthusiasts and entrepreneurs who wanted to buy and sell gear for sports like skiing, hiking, snowboarding, camping, and mountaineering. The site became a marketplace where people could buy closeout gear easily. This was a big improvement for active people who liked to enjoy sports all over the country. Someone living in a ski town like Provo, for instance, shouldn’t have many problems finding closeout and used ski gear. Someone living in Florida who likes to take regular ski trips, however, will usually miss out on the best deals simply because they don’t have access to many stores that specialize in their sports. With GearTrade, sports enthusiasts could take advantage of closeout prices no matter where they live. It’s convenient to compare GearTrade to sites like eBay. There are some crucial differences, though. GearTrade, for instance, lets sellers set their own prices. The sale price is not determined by an auction. Sellers find that this makes it easier for them to get rid of unwanted items without losing money on the deal. Buyers find that they still get excellent prices on new and used equipment. In some cases, buyers get even better deals because they do not have to worry about other people pushing up the price of desirable items. GearTrade has been operating for over a decade. 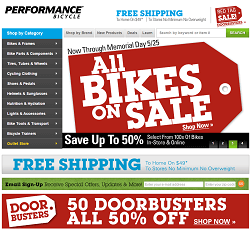 It has a great record of helping people find fair deals on outdoor and sports equipment. If you want to purchase any kind of sports equipment or accessories, GearTrade is a good place to start. GearTrade’s best feature is that it gives sports enthusiasts the option to browse sales from all over the country. The user interface makes it easy for buyers to find products that interest them. Buyers can also use the site to compare prices of similar items to make sure they are getting good deals. GearTrade also makes it easy for buyers to focus on deals. One area of the website is organized by discount. If you only want to look at deals that are at least 50% lower than MSRP, then you can click that link to see what’s for sale. The site even has a link that will direct you to all items listed for under $5. This approach helps dedicated shoppers find the items they know they want while letting others browse items just to see if they come across interesting deals. GearTrade takes a hands-off approach. It provides a convenient platform for people to buy and sell items, but the company tries not to get involved in specific trades unless customers experience significant problems. It’s easy to understand why GearTrade wants to give sellers some independence. Doing so, however, comes at a price. Some of the sellers on GearTrade have excellent reputations. They describe items accurately, sell them at fair prices, and ship them as soon as possible. Other sellers aren’t as useful. It’s rare for someone to intentionally trick buyers into purchasing damaged items, but it can happen. If you choose to buy gear on GearTrade, make sure you research the seller before committing your money. GearTrade’s customer service isn’t great, but it isn’t terrible either. If you have a question or concern, you can send customer service a message via the company’s website. Other than that, GearTrade’s website only lists its physical address. You could probably get the company’s telephone number by calling directory assistance, but the message is pretty clear: a company that doesn’t list a phone number on its website doesn’t want people calling. GearTrade does have active profiles on Facebook and Twitter. Still, it’s a little lacking. Q: How can I determine whether a seller is reliable? 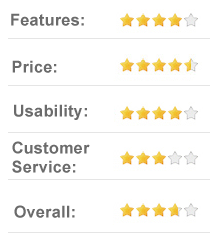 A: GearTrade uses a rating system for its sellers and buyers. This helps limit dishonest activity by letting everyone know who has a good or bad reputation. Q: How long does it take for sellers to ship items? A: That depends on the seller. GearTrade gives sellers five business days to accept orders. If you do not receive notification within five business days, then the sale is cancelled. Most sellers, however, try to ship items as soon as possible. Sellers, after all, would rather have money than an unused piece of equipment taking up space. Q: What forms of payment does GearTrade accept? A: Buyers can pay with Visa, Discover, American Express, or MasterCard credit cards. Q: Are sellers individuals or companies? A: Both. 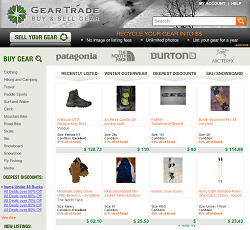 Some businesses use GearTrade so they can reach more customers to sell overstock items. Individuals can also sell their items on GearTrade. Just register and list the gear you want to sell. GearTrade has a few faults, but it is a good platform that makes it much easier for people to buy sports and outdoors equipment at discounted prices. If you are extremely worried about getting the best customer service, then you should probably stay away from GearTrade. That said, you should probably also avoid other peer-to-peer marketplaces like eBay. This type of market can help consumers when they experience problems, but the companies are not responsible for customer services. GearTrade, however, is an excellent marketplace for people who just want to find reliable gear at good prices. Practically anyone can join the market. That means individuals and stores all over the country can sell their used and new items directly to consumers. It’s a win-win situation for sellers who want to make a few dollars from equipment they don’t use anymore and buyers who do not want to spend a lot of money on brand new items. 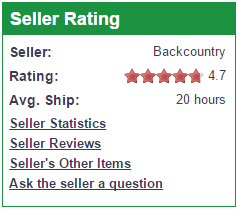 If you decide to buy equipment from a seller on GearTrade, you should always check that person’s rating. Avoid anyone who has a poor rating. That seller has shown that he or she isn’t responsible enough to deliver products in a timely manner. If the seller has a positive rating, then you can rest assured that you will get the item you pay for within a short amount of time. Overall, GearTrade is a good place for people who want to save money on sports and outdoors equipment. To get the most out of the website, though, you have to pay attention to what you buy and who you buy it from. filed under Online Services Reviews . 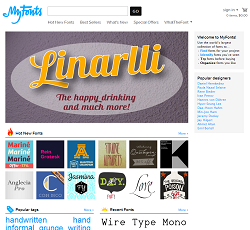 filed under Fonts, Online Services Reviews .